BEND, OR -- Central Oregon Community College is now a Medal of Honor College. Extended Learning Dean Jerry Schulz, also a veteran, pursued the official designation to honor Bend resident Robert Maxwell, the nation’s oldest living Medal of Honor recipient. 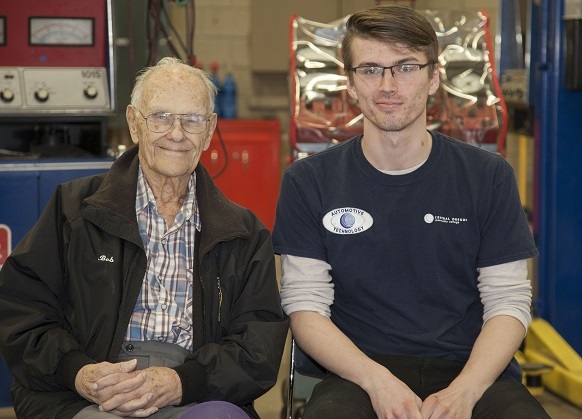 "He was instrumental in helping launch the automotive program for Central Oregon Community College, way back in the late 50s or early 60s," says Schulz, "And, he taught for our school for many years." 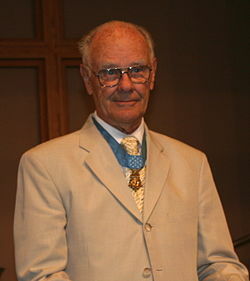 Schulz sent the request to the Congressional Medal of Honor Society after other similar local designations, "The city of Bend had designated itself as a Medal of Honor community; and Bend High School – which is where our automotive program started, with Robert – designated the high school as a Medal of Honor school." Maxwell, now 98, was awarded the Medal of Honor for his bravery in World War II. Schulz tells KBND News it was important to honor Maxwell while he's still alive, "We’ll put a permanent plaque in place near our automotive program. It’s just recognizing his service to our country and to our community and to our college. And it’s an ongoing thing; something that won’t just be forgotten." The COCC Board also recently voted to rename the school's veterans services center. It will now be known as the Robert D. Maxwell Veterans Center. Schulz says it's a privilege to honor him, "The fact that he served our country so well with his heroism and then we, as a college, benefited from his further service, here." Photo (Top) Submitted by COCC: Robert Maxwell with an automotive student during a recent visit. (Lower Right) Maxwell in 2006, during the Boise Bible College Medal of Honor Scholarship Award ceremony.